“I want to be the spokesperson in an oil company, and I like to learn about communication science”, that was the reason why Regata Devana (24) decided to be a Communication Department student in Binus University. However, as time goes by, now she landed herself as Corporate Public Relations in Binus University. Corporate Public Relations is under Corporate Marketing Communication (CMC). Her current job as Corporate Public Relations is very related to the major she took when she was in college. Her main job desks are creating the company profile for Binus University, building as well as maintaining the relationship between Binus University and other academic institutions. She was also responsible to make events to socialize Binus University’s value to the public. 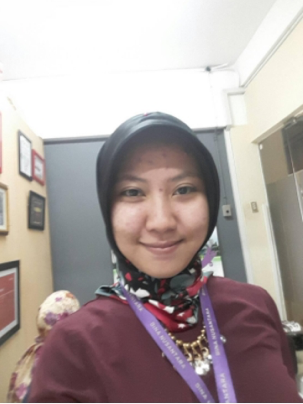 “I really enjoy working in CMC Binus University. Not only because of the jobs that are very relatable to my major, the work environment is also very supportive. This makes me feel at home.” Said Regata. So, for you who still in college, prepare yourself for the best experience after college life. Learn a lot from everywhere and everyone! But before that, enjoy your time while you can! Always Do Everything With Spirit!